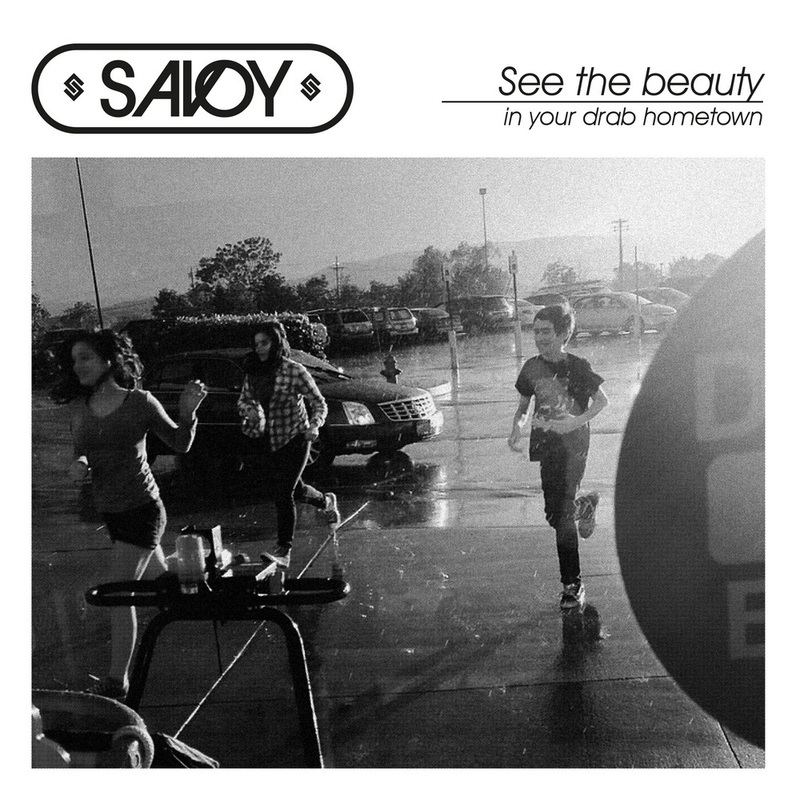 Savoy's new ablum "See The Beauty In Your Drab Hometown" was released on 12 January 2018. 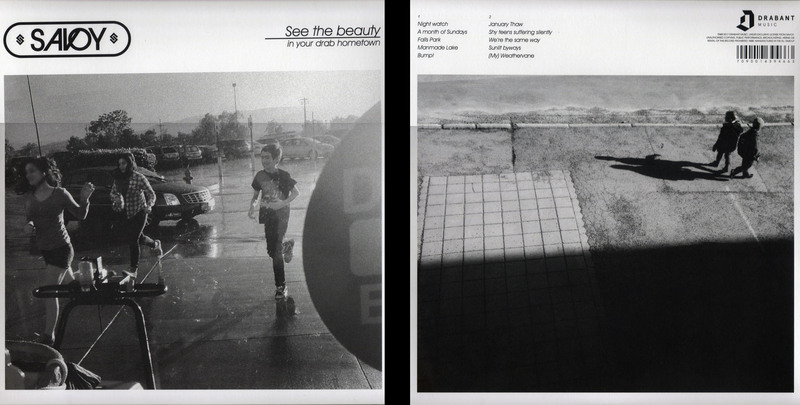 The artwork features a large black and white shot of three young people running across a car park, taken through a window. The picture fills most of the white cover with the Savoy logo top left and the title, underlined, in the top right. The album was released in Norway on CD and LP. The CD comes in a card folder out sleeve. The back of the sleevs is white with a large black and white shot of two children standing on some paving with a dark shadow covering the bottom of the shot. Above the picture is the track listing in small black letters with the Drabant Music logo and copyright information at the bottom of the sleeve. The centre of the fold-out sleeve is black with white credit information printed only in the bottom left hand side of the sleeve. It comes with a 6 page lyric booklet with black and white art shots of shadows from trees on the front and back. The pages of the booklet are white with lyrics in black. 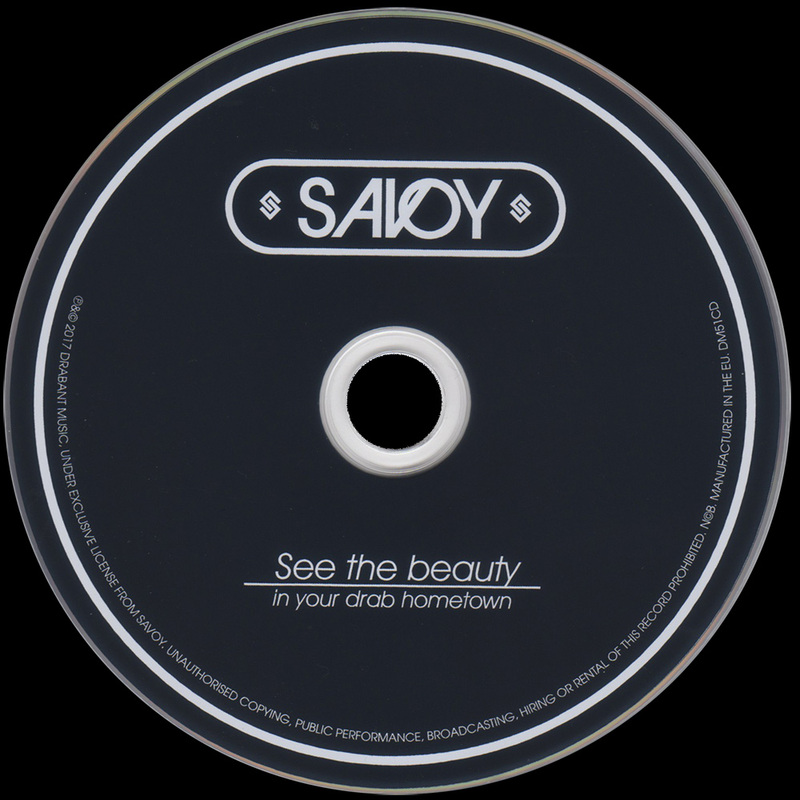 The CD is black with a new version of the SAVOY logo in white at the top and the title in white at the bottom. There is a white ring around the rim of the CD with copyright information around the inside of the rim. The CD and booklet are housed in either end of the card sleeve. Paul and Lauren signed many copies of the CD which were available for sale at the 2018 a-ha shows. The album was also released on LP. The cover artwork is similar to the CD release. The inside of the sleeve features the song lyrics in white on a black background. 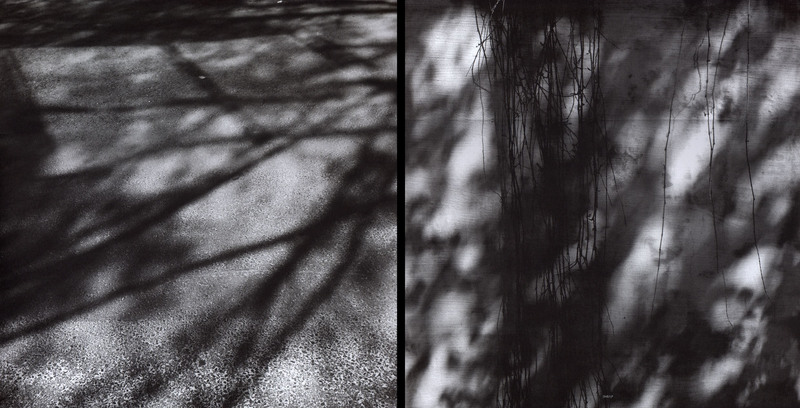 The record comes in a paper insert with black and white art shots of shadows from trees. 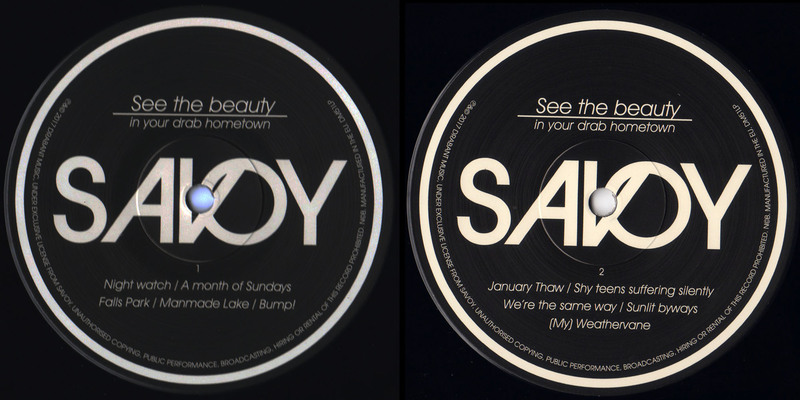 The record labels are black with the SAVOY logo in large white letters across the centre. The title is printed in white above and the track listed in white below. The is a white ring around the edge of the label with copyright information around the inside of the ring.